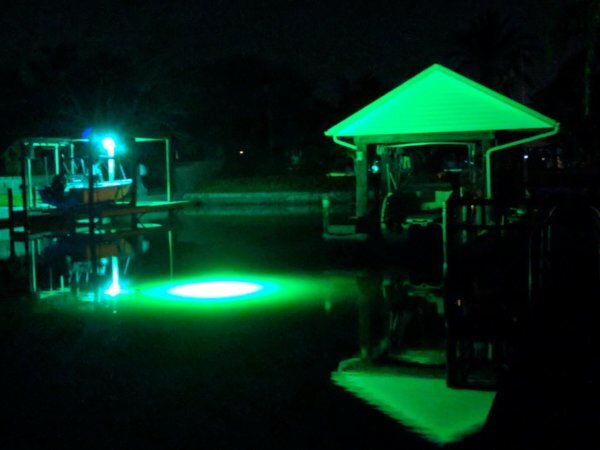 The DockPro 10000 Underwater LED Dock Light is the perfect underwater LED light for both freshwater or saltwater and is the ideal light for depths of up to 25′ deep. 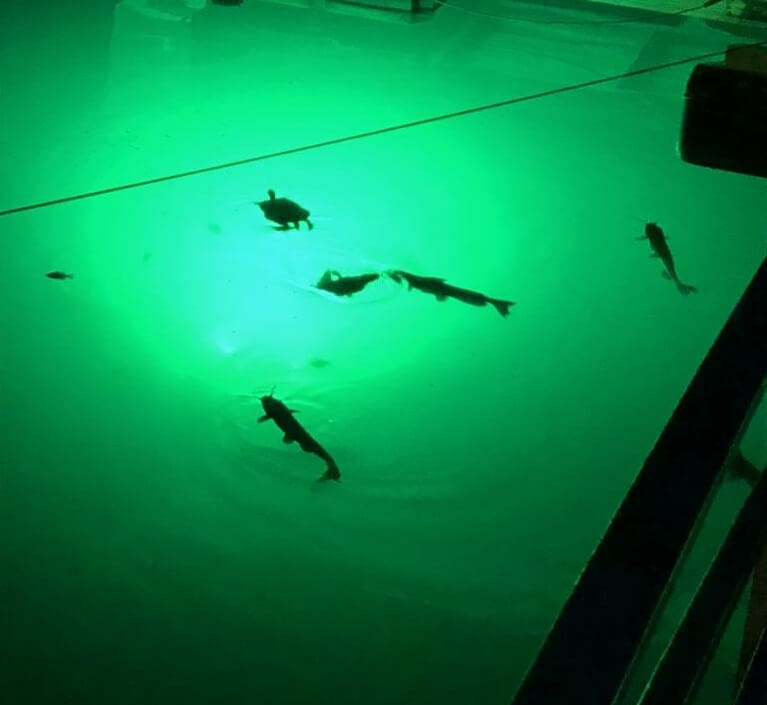 Using our anodized aluminum, high intensity 50W LED light heads, it provides you with 10,000 lumens of intense Green or White light. The DockPro 10000 is designed using high quality, furniture grade PVC which will not corrode or rust in the harshest salt water conditions. 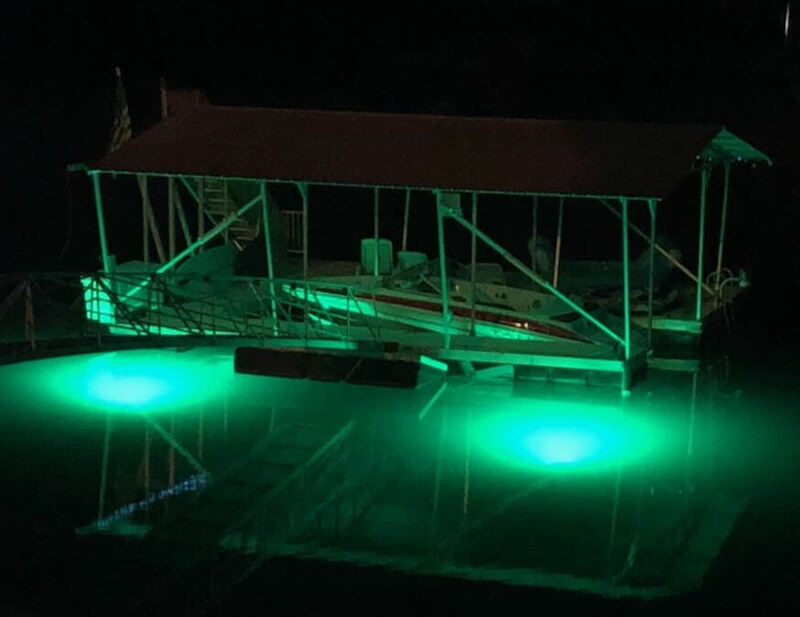 Contrary to other underwater lights, it is self-weighted and is designed to sit on the bottom and shine upward, illuminating the water from the bottom to the top. With both LED lights heads being rotatable, they allow you to direct the light where you want it. Unlike many other underwater dock lights, our 120VAC LED driver reduces the AC voltage down to a Swim Safe 36VDC. 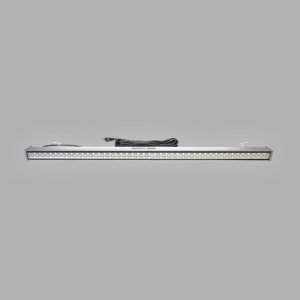 Great alternative to the more expensive, unsafe Mercury Vapor, Metal Halide, and HID lights. This LED dock light is for Underwater Use Only! *Our DockPro 10000 plugs into 120VAC but the driver converts the voltage to a water safe 36VDC. *This light uses High Intensity LEDs and must be submerged during use. 21.75" x 21" x 7.75"